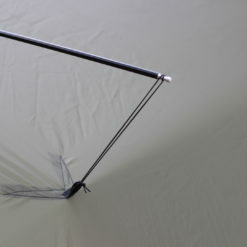 Includes (two) collapsible 54″ shockcorded poles with panel pull attachment cord. 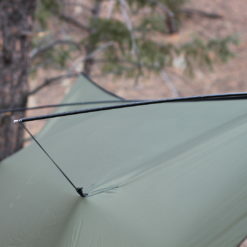 Includes (two) collapsible 71.5″ shockcorded poles with panel pull attachment cord. 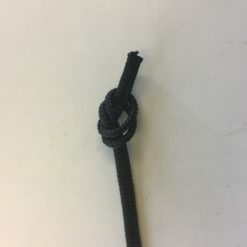 When installing the poles, it’s a good idea to loop the cord over the tip of the pole and also wrap it around the tip once so it is more secure for windy conditions. I have used these on several outtings now and find that they are worth the extra weight. Im 6’1″ and the extra space the poles provide is priceless. 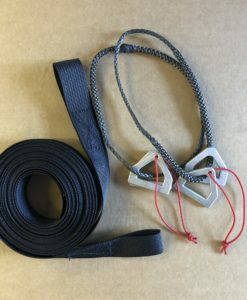 Could i just use tie outs ? Sure, but i dont want to have to be bothered looking for other trees or large sticks; especially if its raining. 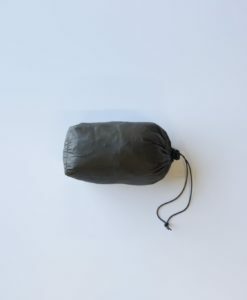 I have this on a SuperFly and it wore holes through the top of the tarp. Use at own risk. 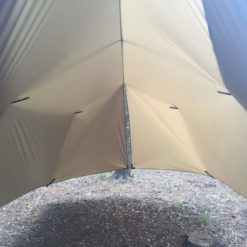 I was setup for 2 weeks, had some high winds. Gladly it did not rain. This is a pretty rare occurance, but if the pole is resting on the tarp’s ridgeseam I could see some wear happening from being setup for weeks at a time like that in windy conditions. 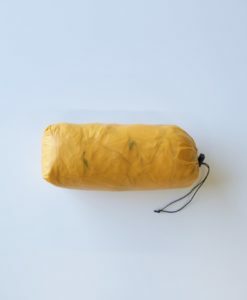 Lightweight tarps in general are not meant to be left outside for weeks at a time because of eventual damage from UV rays, a hardware store tarp is a good cheap option for a semi-permanent camp tarp. 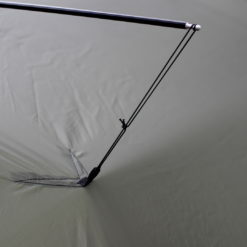 As for the poles, another option is to run an external ridge cord a few inches above the tarp’s ridgeseam, the poles would rest on that cord instead of the tarp itself, this would eliminate any rubbing between the tarp and the pole. Good idea, but you can do the same thing with your trekking poles and some shock cord. love them! they shed water very well and make it quite roomy under their tarp. great for bad weather. Bought these for the Mamajama and really love them! 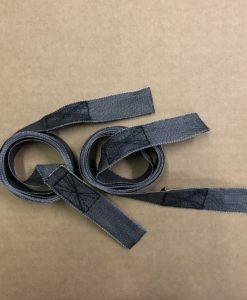 Wanted the side pull outs but hated the idea of more line, tying, support poles etc. These solve that issue perfectly! They open the tarp up nicely and give nice additional airflow on warm days. 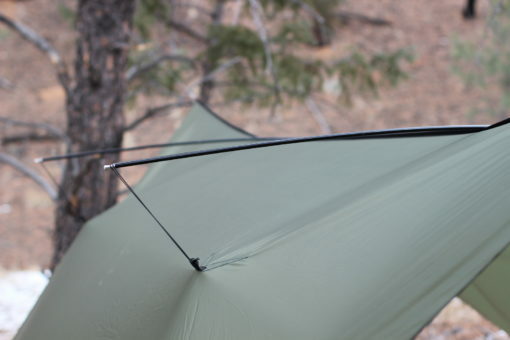 Great for cooking under and just hanging out on those damp trail days. The guys at Warbonnet are incredible and answered every question I had. Would highly recommend it!